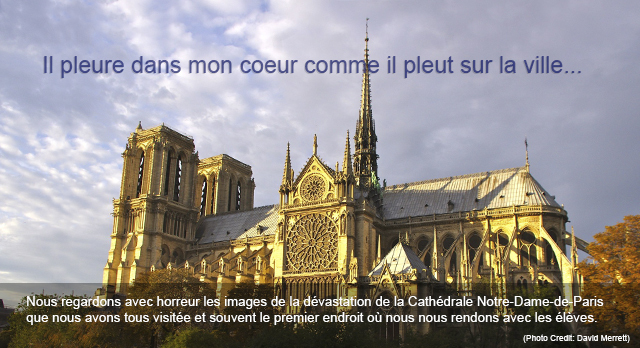 The French Embassy has set up the following account for those wishing to make donations: Friends of Notre Dame de Paris, PNC Bank, 800 17th Street NW, Washington DC 20006. 2019 Membership Information now available in the On-Line Store. Click here. The only professional association devoted to the needs of French teachers at all levels, the AATF strives to advance the study of the French language and French-speaking literatures and cultures. Membership is open to anyone over the age of 18. Allons au cinéma: Volume 1 contains fourteen French and Francophone films and Volume 2 contains seventeen which are presented with vocabulary and activities for the classroom at both secondary and post-secondary levels. Useful ideas for promoting French in and out of the classroom, including art, book clubs, cinema, crossword puzzles, and more. Learn how to use new technologies in the classroom and to engage students in the learning process with tools that they are familiar with. Find on-line components to conference presentations and publications as well as downloadable units here.